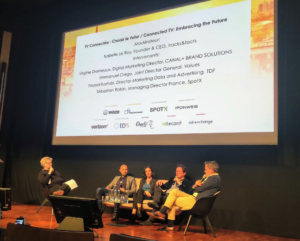 On Wednesday 3 April, ExchangeWire presented ATS Paris 2019 in front of some of the finest minds within the French digital advertising industry. Whilst the range of vendors, agencies, and publishers was highly diverse, a few core themes began to make themselves present over the course of the day. The proposal for a single, or at least a select few, standard(s) for user identification was suggested throughout several of the panels. Whilst this raises obvious questions surrounding privacy, the context of allowing smaller firms to compete against the ‘GAFA’ (Google, Apple, Facebook, and Amazon) platforms is important to consider, whilst also increasing user satisfaction as ads are more likely to reach them as opposed to being lost in a mire of mismatched data. Another key theme throughout the day was how the industry can manage and use data effectively. Closer relationships between big data firms and publishers, as well as between supply-side and demand-side providers, have been suggested to facilitate efficient use of information whilst also promoting transparency. Michel Juvillier, CEO of Juvillier Conseil, chaired a panel discussion between Gael Demessant, director of programmatic and yield management at Prisma Media Solutions and Alexis Marcombe, managing director at MEDIA.figaro, about GDPR, appropriate use of big data, and user identification. Demessant and Marcombe proposed a consortium to use a simple measure for user identification. Whilst there is a wide choice of technology to use, a single standard would be challenging to implement, but worthwhile. Co-operation would be required again, as adopting technological standards requires transparency between publishers and SSPs, as well as close integration with GAFA. The adoption of a single user ID and co-operation between publishers was the key theme of the next discussion, this time framed around how to compete against the walled gardens of Facebook, Google, et al. The lively discussion, chaired by Isabelle Le Roy, founder & CEO of tracks&facts, saw Mathieu Roche, CEO at ID5; Sergio Cuerda, strategic development manager at IPONWEB; Thomas Allemand, head of digital trading & programmatic for Zenith/Publicis Media; and Emilie Proyart, head of digital for Les Echos – Le Parisien support the proposal of single login, or a “digital passport” across several publishers for customer experience, allowing online and offline user identification, using a consistent ID logic and protocol. This is needed because Google and Facebook have closed, walled environments; thus open web principles will help smaller publishers to compete. An important caveat that was considered is that the adoption of single standards through co-operation is highly time-limited, due to dominance of GAFA and industry pressures on publishers, hence meaningful decisions need to be made promptly. ‘How the service layer makes programmatic work for advertisers’ panel, which was moderated by Aude Perdriel Vaissière, COO of Reveal Content, saw Steven Fitzgerald, platform director at Verizon Media; Stephanie Guedon, senior media manager at Equancy; and Guillaume Valicon, vice président product & solutions for Tradelab, deem that building relationships between the service layer and publishers for ease of data activation was important, though time is needed to build teams with the understanding of DSP solutions. Collaboration with Google was also postulated for access to different data sources, however this runs the risk of elevated charges or being locked out. Continuing on the theme of education and understanding between brands, the service layer, and publishers, Lindsay Rowntree, head of content at ExchangeWire, spoke with Jean-Baptiste Godinot, global sales director at Gameloft about why brands should embrace in-app advertising. The chat was highly informative about the scale and diversity of the gaming market, which is still rather misunderstood, and how fears on fraud and brand safety can be alleviated, once brands experience the significant targeting and engagement opportunities that exist within in-app gaming. Charles Emeriau, director, publisher sales Southern Europe for Index Exchange discussed the need for user synchronisation and people-based marketing with Ciaran O’Kane, CEO of ExchangeWire. In a hypothetical scenario, one user with four devices accesses several ad exchanges, with these in turn using many more DSPs, which then send data to an exponential number of DMPs, meaning thousands of IDs for a single user. SSPs and DSPs need to work together, as current solutions for user matching are not efficient. On the topic of working together, the panel discussion on the opportunities of advanced TV in France conceded that CTV still needs to be properly defined and understood, with panelists Virginie Dremeaux, digital marketing director of CANAL+ BRAND SOLUTIONS; Emmanuel Crego, joint director general of Values; Fayssal Kartobi, director marketing data & advertising for TDF; and Sébastien Robin, managing director France for SpotX, all agreeing that technological harmonisation across the industry is required so that advertisers understand the advantages of using these platforms and look beyond linear TV. 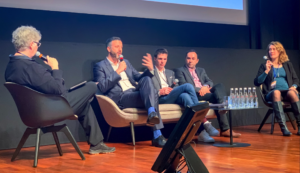 ATS Paris 2019 was rounded off by a panel discussing making transparency work for the buy and sell sides. Michel Juvillier, CEO of Juvillier Conseil led the discussion between Frédéric Eichenbaum, head of activation & data services at 3W.relevanC; Fabien Magalon, managing director for Alliance Gravity Data Media; Pascal Le Clainche, digital marketing director of Johnson & Johnson; and Sergio Cuerda, strategic development manager for IPONWEB, about why trust is so critical in such a complex value chain, as why it is impossible to control without trusted partners who act according to regulations. Direct and researched partners for data confirmation is beneficial, working closer to publishers. There is little demand currently for ‘second-party data’ (partner-to-partner), but some major players are considering its use and benefits. However, there are questions around how this would be marketed. There was also the suggestion about the creation of a third-party organisation or the use of blockchain technologies to support transparency. However, both of these solutions require that all players (including GAFA) work on the same wavelength. Tickets are now available for ATS Madrid 2019, which will be held on 30 May 2019.